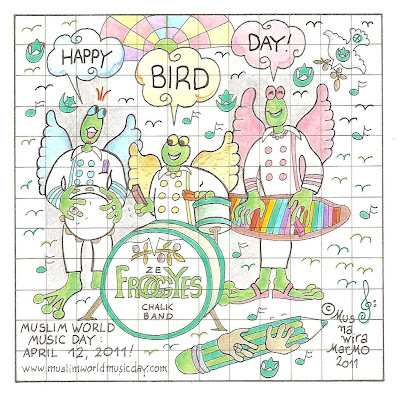 FROGS Without Borders: Muslim World Music Day: Happy Bird Day! To celebrate this Bird Day, Frogs have set up a Band: The Froggies. Be Happy! Be Muslim!! Make Music!! !